Glorious Failure | Life is a long series of failures. Here's to failing gloriously! Luke’s portrayal of religious people in the 23rd chapter of his Gospel is not flattering. Just kidding. It was not the religious leaders. These four correctly identify Jesus for who He is. It’s not exactly the list I would have guessed. But historically speaking, it’s the list God chose for Himself. Let’s examine them one by one and see how God uses them anyway. Consequently Jesus rewards and affirms him, “To day shalt thou be with me in paradise.” (Luke 23:43b KJV) He promised paradise to the thief on the cross. It’s a beautiful confession of faith. And personally one of the most poignant gestures in the Gospels. Nevertheless the thief on the cross is an unlikely candidate for paradise. Don’t you think? Second and third, Luke mentions two gentiles who properly identify Jesus. One is Pilate – the Roman governor of the region. The other is the centurion responsible (think supervising) for carrying out Jesus’ death sentence. The centurion is a gentile who likely heard of Jesus, and possibly heard some of Jesus’ teaching. However being a gentile he has zero vested interest in Jesus Messiah-hood. That issue concerns only Jews. And he is not Jewish. There’s also no prior indication he’s a disciple. But after Jesus gives up the ghost, the centurion makes a profession glorifying God that Jesus was a righteous man. (Luke 23:47) Some believe this centurion came to saving faith. I sympathize with that view. In any case it’s clear he believed Jesus was righteous. Pilate comes across as fair and reasonable in his trial of Jesus even though he’s a gentile. (cf. John 18:28-40) Jesus’ accusers lay their case before Pilate in verse two. Pilate responds by asking Jesus if the accusations are true. He displays sound wisdom by going directly to the source. There’s no mockery, no beatings, no interrogations, just simple inquiry. It comes up empty and Pilate stands by the findings of his own investigation – at least initially. All speak to Pilate’s sound reasoning and good judgment. Pilate’s examination contrasts sharply the manner in which his accusers conducted their own investigation. The Jewish religious authorities effort to try Jesus come off resembling a witch hunt more than a fair trial. And ironically Jesus’ accusers were his own people. They show no love for their own when it comes to Jesus; No understanding for someone with their common heritage; No ownership to take care this issue “in house” or on their own terms; No. Straight to the cross with you, Jesus. This was a lynching. Make no mistake. The fourth proper identification of Jesus’ identity was made by a cowardly disciple – Joseph of Arimathea. In fairness, my attributing the term “cowardly” to Joseph’s discipleship comes directly from Larry Osborne’s Accidental Pharisees: Avoiding Pride, Exclusivity, and the Other Dangers of Overzealous Faith.¹ The term is attributed from insights about Joseph derived from the few facts Scripture records about him. Joseph may have believed in Jesus, but that was certainly not his finest moment. Was it His best friends, perhaps? Peter? James? John? How about any of the other nine of His twelve closest disciples? How about his religious leadership? Ok. How about Jesus other followers? Mary Magdalene? The other Mary? None of those who were closest to Jesus during his earthly incarnate ministry stood up for Him in His darkest hour. None of the folks you might suspect to show up did. They all scattered. Jesus stood condemned, and alone. It wasn’t for naught though, because God accomplished amazing things through the faithful actions of these second-rate followers. The thief on the cross leaves a legacy recorded eternally in Scripture that justification comes by faith alone. His deeds brought him to the cross – the cross he deserved. His faith brought him into paradise for eternity. The centurion–an unlikely candidate for a Jesus-follower–left a legacy testifying to Jesus’ righteousness. And this from a man with orders to fulfill a death sentence. He changed his assessment from guilty to not guilty. What a transformation! This guy had seen his share of criminals. I’m sure. That’s a powerful testimony. Pilate’s properly identifying Jesus being recorded in the Scriptures functions (literarilly, at least in part) to foil the assessment made by Jewish religious leadership. The contrast between his investigation and the Jews’ underscores the absurdity of Jesus’ Jewish trial. Pilate’s legacy clarifies the absurdity, the inadequacy, and the abject injustice of Jesus’ ultimate death sentence, even though it came by his own doing. He makes the foolish look like the fools they really were. These four people demonstrate how God uses faith. They point to the tremendous good God can work together using vessels that are broken, misshapen, and ugly — not the put-together, attractive, educated, or wealthy. This is how God uses the broken, the outsider, and the unwilling. If I were choosing followers for my movement, I wouldn’t have chosen the half-hearted, the criminal, or the outsider. So take heart. He can use even you. Walk by faith. Trust your Father. He is good. And He knows what He’s doing. “THAT’S NOT THE GOSPEL!” I burst out, yelling at the dash housing my car’s radio. That’s what irked me. That’s what sparked my ire. The announcer said nothing else — nothing of Christ. Christian hope does not lie in circumstance. It lies in redemption and the hope of the resurrection. That’s the hope of the gospel. In effect the radio announcer said that we should hope because things will get better. They may. But that’s beside the point. The announcer’s statement predicates hope on circumstance. That’s a dangerous place to affix hope. Circumstances change. Further, as a Christian response to this admonishment, what would you say then to Coptic Christians in Iraq right now being tortured, imprisoned, and beheaded for their faith by ISIS? Would this advice tell them to cheer up because better days are ahead? Somehow that just seems hollow. Maybe callous is better. No. Look, the hope of the gospel is that Christ died to atone for the brokenness of the whole world. He fulfilled God’s righteousness required by the law. He died the death we deserve so we can live the life He earned. That’s the power of grace. By Christ’s sufficient sacrifice we are God’s ministers of reconciliation and redemption. In Christ God is redeeming sin. Not by circumstance. It’s not like sin doesn’t matter. It’s not that sin can be ignored. Why else would Jesus have to die? No, God is building His glory on the redemption of the world. And He is more glorious for it, not less. Our hope as Christians is not in our circumstances. Our hope is firm. And it is fixed. Our hope is in Christ. “How can it be?” Performed here beautifully by Lauren Daigle is a song I can’t get out of my head. I am compelled by this song. Not sure. But in this post I’m going to give it a go. I want to uncover what makes this song so compelling and discover why I am so compelled by it. Resonance. That’s what it always comes down to. Doesn’t it? I resonate with the message of the song: wonder–wonder at God’s gift of grace. To start with the title, “How can it be” is a question. The title itself calls into question the very possibility of forgiveness. It’s too wonderful to be true. The song’s starting point is the obvious state of our hearts: imperfection and brokenness–what the Bible calls sin. We are dirty, unclean in our sin. Could anything be more obvious about the human condition? To contemplate God then, in His goodness and perfection further contrasts our character with His. The more I contemplate God, my sin becomes more apparent, not less. It’s from this starting point the song begins. The title: recognizing our broken and sinful state wonders at the possibility of forgiveness and freedom from slavery to sin. I love that. It begins with disbelief–disbelief that something so wonderful could possibly exist. And if I’m honest with myself, that’s where my heart begins each day, not with belief but with disbelief. To conceive of something so wonderful as freedom–freedom from the slavery to sin and death is almost too wonderful to comprehend. How can that be? Everyday it seems my heart has to be converted from disbelief to belief. And that is the power of God. The melody of this song is gorgeous and versatile. Daigle’s unique almost gritty vocal timbre makes her distinct from other Christian artists today. She sounds like the Adele of Christian music. In this studio recording she demonstrates a wide range of vocal control, not just showing off the beautiful versatility of this melody, but also the breath-taking range, control, styling, and dynamics of her vocal chops. My wife introduced me to this song a few weeks ago. The past week this song has been my heart’s meditation each day. I have yet to get through an encounter of this song without crying and becoming nearly overwhelmed by emotion. God’s grace is powerful. To contemplate it nearly overwhelms me each time. My prayer this morning is that I never get over it. This morning that’s my prayer for you too. May we never lose our wonder for God and His never-stopping, never-giving up, absolutely crazy, absurd, and outrageous love for us. Two reasons: 1) It is uniquely American. And I am proud my country created a holiday to thank God and practice thankfulness. We do get at least some credit for continuing it. 2) It demonstrates humility and faith in God. I love it. However, I do have some beef with my American pop culture today. We don’t keep Thanksgiving well. That is we don’t celebrate it properly, and we are missing out on blessings because of it. 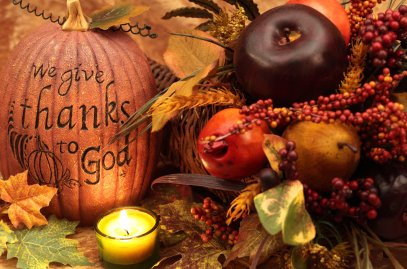 So to keep Thanksgiving myself and for my family, I want to practice Thankfulness by giving thanks to God in this post. 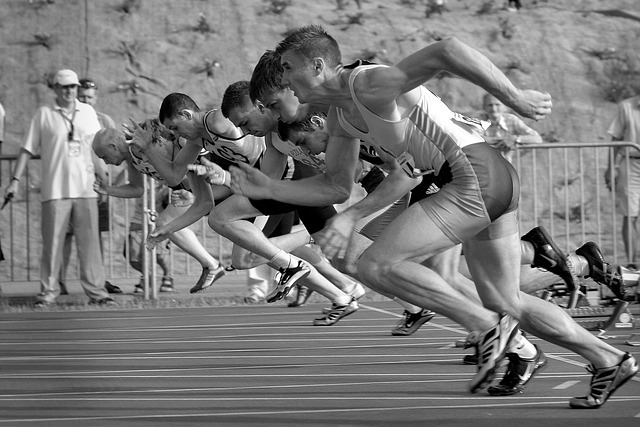 I will take a cue from a wise colleague of mine, Sue Bohlin (Check out her insightful blog.) Here I will make the choice to thank God even though I may not feel good about them. In this post I will thank God for things that are hard. First, I choose to thank you, God for my dad’s health issues recently. A couple Mondays ago I was finishing my day at the office when my mum calls. She says dad got checked out by his doctor for a routine check up when doc asked him to check into a hospital so they could run some tests. The tests came back with good reports. All is fine. For now. But that was a scary day for me and my family. Thank you, God that You give us what’s best for us and not necessarily what we desire. My desires are broken and twisted. Thank you, God for giving me an opportunity to trust you by faith that you work all things together for my good and your glory. Second, I choose to thank You that marriage is hard! Marriage is certainly NOT the butterflies, romance, and warm feelings as depicted in TV and movies. No it’s better. Thank you, God. Marriage takes work, they say. And my marriage seems to take work every day, sometimes hour by hour. Thank you, God that You believe I can handle the task. Thank you, God that you only give me what I’m able to handle. Thank you, God that you make a way of escape from temptation that I may never have to sin when I walk by faith in your Spirit. Third, thank you ,God that my children are disobedient. By their disobedience I learn the depth of my own depravity. I feel angry when my son disobeys. I do. I felt it last night at dinner when he decided throwing rice on mommy was appropriate. I feel angry when he disobeys and I identify with your anger, God. Through it You remind me that you respond patiently with mercy and compassion. You alone are the One who deserves to be angry. You alone are rightly justified in your anger. Mine is motivated from selfishness. Yours is not. Yet still you treat me with love and compassion. You give me mercy when I deserve death. Thank you for teaching me patience through difficulty. You are good. You want good things for me. I was at Home Depot last night buying light bulbs for the house. It was a family trip, and my wife and I had split the kids. She had our one month-old daughter. I had our two year-old son. I hate referring to kids as snot-nosed because it demeans a beautiful and precious gift from God, which they are. But as in last night’s case, my son actually had a snotty nose. He has a bit of a cold it seems. As I was patiently pondering the pros and cons of LED versus incandescence, my son decided he had waited in the cart long enough. He wanted to get down and explore. So he stood up in the cart, threw his leg over the side, and began to climb down. He quickly lost his balance. Sensing immediate danger I lunged to the cart just in time to scoop him into my arms and prevent his fall. Whew! Catastrophe averted in the Home Depot tonight! I was relieved. In my urgency I grabbed my son any way I could. It so happened that I was holding his chest against my chest and his face was planted on my shoulder. When he righted himself and sat up in my arms my shirt now prominently displayed the contents of what had been, only moments ago, in my son’s nose. My shirt now had a three-inch green stripe across the left shoulder. If you didn’t know better you might have mistaken me for a pilot! I placed my son safely back in the cart, along with whatever bulb was in my hand at the moment, and headed for the check out. While en route I glanced down in disgust at my shirt’s new adornment. I was quite displeased by the unsanitary nature of it. Ick! I loathe having bodily fluids on my clothing. I rather like to be clean. However, I then directed my eyes down toward my son. He was smiling–filled with glee to behold the many wondrous sights a home improvement store has to behold an impressionable young toddler. My frustration could not be rightly directed at him. After all it wasn’t his fault. Now I’ve only been a father for a few years. And I detest the stereotype that parents live in messy homes doomed to perpetual chaos and that they always wear dirty clothes because their children continuously soil them. I shudder to think I fulfill that stereotype. Rather I work to reverse it fastidiously. But in this moment last night at Home Depot I realized something. Yes I am a father, and yes I have a massive snot wad on my shirt. That cannot be denied. And I suppose to be fair then, I should have to at least entertain the possibility for discussion whether or not I fulfill this awful stereotype. Fair enough. But in this moment I lost no degree of disgust against wearing mucous for all to see. I loathed it every bit as much as I always have. I approached the check out however, totally unashamed and without an ounce of regret for the decision that resulted in my snotty shirt. I did not regret choosing to save my son. If presented as two possible options I would much rather have a snot-nosed shirt than a seriously injured son. I realized that being a father doesn’t mean you lose your sense of cleanliness, propriety, or healthy sanitation. Those are all important. I might even go as far as to say sanitation and propriety are hallmarks of civilization. But rather fatherhood means loving someone else more than even those important desires you have for yourself. In fact Scripture calls us to a love even greater, indeed. “Do nothing out of selfish ambition or vain conceit. Rather, in humility value others above yourselves” (Philippians 2:3 NIV). Scripture calls me to value and love my son even more than myself. While I would definitely say I’m not there yet, I can also say I’m closer today than I used to be in large part because God made me a father. I love my son. I love being a father. One thing I’ve learned is that being a father does not mean you lose all sense of dignity. Instead, I think, being a father means learning that some things matter even more than dignity. Or in this case, someone who matters more. Namely, my son. 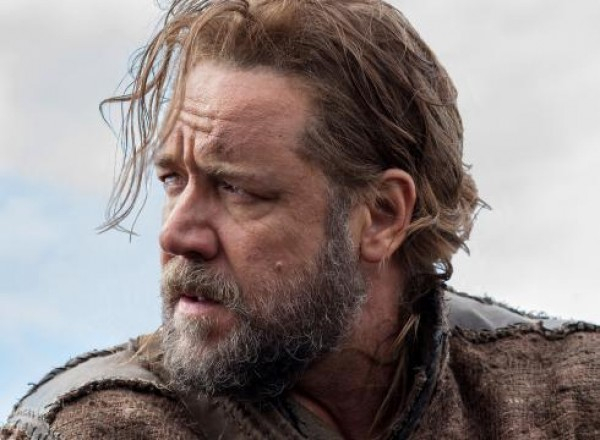 Russell Crowe in Darren Aronofsky’s 2014 production of Noah. My initial read of the recent 2014 Aronofsky production of Noah was strong endorsement. After careful analysis I endorse it cautiously. As a conservative Christian my endorsement comes with a few caveats about characters drawn from non-biblical sources, lines that question good theological interpretation, and thematic elements not present in the Genesis account. None however, will come as a great shock to the biblically minded Christian accustomed to digesting mainstream media these days with a discriminating palate. Christian critics lampoon the film for its departure from the Genesis account (See Erick Erickson’s review). Christian theologians charge it as gnostic subversion of the biblical text (see Dr. Brian Mattson’s insightful review). I conclude that it is a masterful and insightful retelling of the biblical epic. Before I address the controversy condemning the movie for Gnosticism, let me tell you why I liked the film so much. The film makers get three big things right. Reason #1 They get they story right. The movie’s producers remained faithful to the plot from the biblical text, which goes as follows. God commands Noah to build an ark to save them from the flood. Noah builds the ark. The flood comes. Mankind is wiped out. Noah, his family, and an ark full of animals are saved! That’s it. It’s a rather simple story. But the movie makers remained faithful to it. And that is important. While this fact does not itself make the movie great, I will share below what makes the film great, it was however a requirement for excellence. It passes. Reason #2 The film makers get the right perspective on three key concepts: God, man, and salvation. God — Forgive my cynicism here, but I am used to God being mocked in mass media. I prepared myself for a dose of that in Noah, but found myself pleasantly surprised when the credits rolled and I hadn’t heard one word against the Creator. God is portrayed in the film very reverently, by Noah at least, and that is presented as respectable, honorable even. God’s authority is not seriously questioned, rather it is affirmed. God is unapologetically;) described as the Creator, the giver of life, and the ultimate authority on all things. He is also given the ultimate credit for saving Noah and everyone on the ark, as is fitting. God should rightly be praised as the savior. This movie definitely portrays him as most directly responsible for salvation, in this case, deliverance from death by flood. Salvation — Scripture teaches that salvation belongs to the Lord. (Psalm 3.8 KJV) Man is the one in need of salvation. We are the weak one. God is the one who does the saving. God therefore deserves the credit and the glory for salvation. The filmmakers gets this right. Noah is portrayed as a humble man, a faithful man who obeys God, even if it costs him a great deal. His struggle to obey at great cost is explored in depth propagating some of the controversy surrounding the film which I will address below. However, Noah never indicates that he feels as though he deserves to live or to be saved from the flood. Noah is never shown boasting in his greatness, rather he gives thanks to God for salvation. It is painfully clear, upon reflection that the writers consulted theologians when writing this story. The writers didn’t just nail the story, they tell it in a way that is faithful to the biblical definitions for God, man, and salvation. Reason #3 The movie makers get the big picture right. Here is where I lose patience with critics who denounce this film because of the liberties taken from the text. Yes they took liberties. But they got the big picture very right. Look, the reason God includes this story in our Bible is to warn us. It serves as a warning that sin is heinous. Sin is a big deal. God takes it very seriously. We all have within us the capability for great evil. The atrocities executed under Adolph Hitler don’t make him a moral monster, they make him human. We are each of us capable of despicable evil, and when we engage in sin, it grieves God. This story serves a sobering warning from wickedness. Noah gets this right. Sometimes I fear Noah’s story has been cemented in the minds of American Christians as a feel-good children’s story. They picture him as the guy with a fluffy lamb under each arm and all smiles. Countless children’s wings of church building have depicted this story in murals with rainbows and smiling animals walking respectfully into the ark in an orderly manner as if nothing were wrong with the world. These murals portray nothing of the Fall or the wickedness of man which necessitated God’s sweeping global judgment. They entirely miss the point. The writers of this motion picture did not. Noah’s story is born out of desperation. A peak into Noah’s world would have been bleak to put it euphemistically, disturbing is probably more like it. This fact was not lost on Noah’s producers. Perhaps most importantly what this movie gets right is correctly situating this story into the larger meta-narrative of Scripture. While the Bible is made up of 66 books, penned by dozens of human writers, in multiple languages, from different nations, over the course of more than a thousand years, through the Bible, God is telling one story. The Bible tells the story of God making man, man rebelling against Him, and God coming to rescue man. Noah the motion picture tells this same story. God created man in the beginning. He created him good, and gave him a choice to obey or disobey. Man chose disobedience and so brought death upon himself. How do we become free from this curse of sin and death upon mankind? God. God is the only hope mankind has for deliverance. As Noah’s only hope was God’s provision in the ark, so our only hope is God’s provision in Christ. Jesus Christ alone is the way the hope the truth and the life. No one can enter the Father except by Him. While the movie does not mention Christ by name, it makes plain that the only hope of salvation is found in God. God would later reveal himself to us through Jesus Christ. But as far as Noah’s concerned that wouldn’t occur for centuries. Noah gets so many things right I love it. The three most important things it gets right are the story, a biblically informed cosmology, and where the story fits into the big picture of the Bible. Are there non-biblical influences on the story? Yes. Were some of those influences Jewish mystics? Yes. Did teachings from Kabbalah influence the movie? Yes. Is the movie a gnostic subversion of the biblical text? I don’t think so. Doctor Brian Mattson makes a pretty compelling case for the gnostic themes woven throughout the movie. It’s a good read, and worth your time. Compelling points include Adam and Eve portrayed as fleshless beings of light, the snakeskin talisman used to pass on the family blessing, and the subsequent reversal that talisman suggests that the serpent is in fact divine (true wisdom) and not the Creator, who is rather Himself deceived. After further consideration, I do not agree with Dr. Mattson’s interpretation. To his credit he posted not to educate the public as much as criticize Christian leaders who endorsed the film without even being aware of its gnostic themes he claims were obvious. I admit I did not see any connection to gnostic teaching. That is mostly due however to my casual familiarity of Gnosticism. Doctor Mattson, criticism humbly accepted. Nevertheless, weighing his interpretation against my reading, and the readings of others, I do not think the film is a gnostic attempt to subvert the biblical text and dupe Christians into agreeing with a gnostic story influenced by Kabbalah. My primary reason? Darren Aronofsky, the films director and co-writer, says so himself. Peter Chattaway sat down with the co-writers Aronofsky and Ari Handel and asked them about their creative process and what sources influenced them. In one particular segment Chattaway asks about discrepancies between the movie and the Genesis account. Here is what Aronofsky said. Deceptive? Doesn’t sound that way to me, though that’s Mattson’s charge. During the interview both writers openly admit they consulted non-biblical sources including Jewish midrash, Kabbalah, and Enoch among many others. Their conversation revolves around it really. Were they influenced by texts other than the Bible? Absolutely. Would I have consulted those sources if I made the movie? Probably not. But more importantly are the film makers attempting to cleverly deceive faithful Christians, and Jews for that matter? No. [Spoiler] The last allegation of Dr. Matston’s I’ll consider is that Noah’s erratic behavior on the ark is best explained as a gnostic seeking to become more like the Creator by murdering his newborn granddaughters. Again I refer to the words of the writers themselves from the same interview mentioned above. I endorse Aronofsky’s Noah and recommend Christians go see it to re-imagine this biblical epic. I qualify that endorsement by reminding you believers in Christ, this picture does not hold the authority of God’s Word. Therefore, do not allow this film to mold your perception of what actually happened where the Text has already clearly spoken. [Spoiler alert] Easy application: there were no rock monsters who protected Noah. I caution believers to keep in mind there are extra-biblical sources which significantly influenced this rendition of the story, sources which I do not think are necessarily true. However, I still recommend the film’s viewing because these sources don’t necessitate the falsity of their teachings. That is to say, while I do not think the way this story is portrayed on screen is likely how it actually happened, based on what I read in the authoritative text–the Bible–it is at least still possibly true. And that was all Aronofsky was aiming to achieve. He wanted to retell this epic story from Scripture with imagination. Go see it. Enjoy it. Keep thinking. A friend of mine asked me for advice the other day. His name is Jack. Now Jack has been talking with his friend John about a Christian response to the problem of evil. It would be more accurate to say Jack asked me to recommend some good reading to pass along to John. Jack didn’t ask me for my advice. But before I made any recommendations, I wanted to know more about John, their relationship, and how Jack has lead the conversation so far. So I asked a few questions. Both Jack and John are believers in Christ, so they approach the issue from a standpoint of faith. John struggles to reconcile two facts he knows for certain, yet seem to contradict one another. The first is that God exists. He is good. And He is all-powerful; The second is that gratuitous evil and suffering exist. I’m not surprised Jack asked me for help on this issue. It’s a very sticky one. Consider, for example, that it has been around virtually since man has been writing and thinking. It’s a very difficult issue – not impassable – but very difficult. To be specific, the difficulty is in accepting both statements as true without contradicting one another. Acceptance is far more difficult than understanding intellectually how they can be reconciled. Isn’t that how most things are in life? I applaud Jack’s heart to love John with truth and to call him to a deeper understanding of God’s truth, and ultimately to a deeper faith. But I paused when I realized Jack thought John’s problem was an issue of understanding — that John just doesn’t get it. Even though Jack is my friend, I look up to him like a mentor so I didn’t have the heart to share with him what I’m about to write which is what went through my mind next. When people are being illogical there’s usually an explanation. John doesn’t recognize that there are intellectual (Christian) resolutions to the problem of evil. In this context Jack knows John is being illogical, but couldn’t figure out why. I propose three ways to straighten out these curves in the conversational path. 1) It’s personal. John may have history encountering people he perceived as righteous, let’s even say they were faithful Christians, yet were unduly struck by calamity. Maybe he watched that happen to his parents or a close friend. Personal experience often dictates our most closely held personal beliefs whether they are intellectual or not. 2) It’s emotional. Maybe John sees himself as righteous and resents God for the calamity that has befallen him. Perhaps he is deeply hurt and he feels God is responsible. In this case his resentment prevents him from acknowledging God can be both good and powerful, yet evil can still exist. 3) It’s a sin issue. John may be in willful sin and the direct consequences are hurting someone else, not him. He can see the death that sin leads to, but because it isn’t his death, he has no motivation to stop. Yet, to admit that God is good and just, and that evil may abound now, but one day God will justify the righteous and penalize the wicked, would require him to submit to the authority of God and lay down his sin. That’s something he just isn’t prepared to do yet. In this case John’s sin is blinding him to the truth that evil is not a problem for God. My next step is to have a conversation with Jack that people are more than just brains. Just because what they say is illogical, doesn’t mean they don’t understand what you’re saying. God made us in His image, and He is both glorious and complicated. Sometimes misunderstanding another human being requires us to dig a little deeper to make sense of what happened. Most of the time, I find it requires me to dig a little deeper to understand myself.